Dr.Songchai Ratanasuban who has been named the legend promoter for Muaythai. He devote all his time and life for Muaythai. 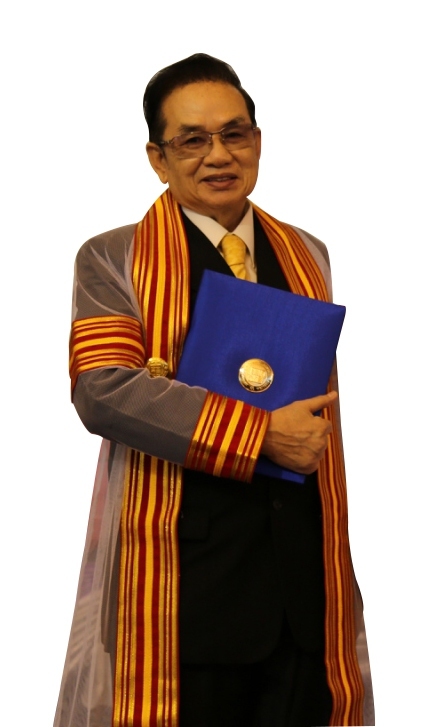 Dr.Songchai was born on March 5, 1946. He grew up together with his elder brother and sister in Chachoengsao Province, Thailand. In 1973 he married Miss Saowanee Tungkongphanit with 3 children : Dr. Pataraporn Ratanasuban, Dr. Siraphop Ratanasuban and promoter Pariyakorn Ratanasuban. For over 2 decade Dr.Songchai Ratanasuban has been Thailand’s #1 boxing promoter/manager and the world’s premiere Muaythai promoter. This success stems from his hard work and commitment to the sport, looking after the interests of fighters while consistently providing audiences with top-level match-ups for tan club lover prices. Besides his involvement in boxing, Dr. Songchai seeks to make a contribution to society through charitable foundations. As well as time, he has donated ten of millions of Baht (Thai currency) to worthy causes targeting at risk groups, war veterans and retired boxers. A charity for His Majesty the King through Chulalongkorn Hospital. Free lunch program for poor students. Co-founder of Thai Boxer Foundation. Dr.Songchai Ratanasuban has a press named as “ Golden Hand & Diamond Brain Promoter” who is the most successful promoter for over 2 decades. He made the history with the highert ticket sold our. His motto is “Muaythai, Thai Heritage, World Heritage”. At that time people laughed and blam how Muaythai from small country will be accept from the world. And now his motto is coming true. He started his career as promoter since 1975 at Lumpini stadium. As a matter of fact, Muaythai rule is classified weight division into 12 divisions-category from 105-160 Lbs. Up to 2001, he had champions under his belt in 12-weight divisions. After then, he moved to be a promoter in Rajadamnern Stadium, which makes his reputation, is much more accepted among both Thai and foreign boxing fans. In Rajadamnern Stadium, he has 8 champions in 8 divisions-category. Also in the present time, he has 7 champions in 7 divisions-category. Dr. Songchai Ratanasuban has played a crucial role in the development of International boxing in Thailand for over 15 years, being the only boxing promoter/manager in Thailand that has produced 9 World Champions (WBC, WBA, WBO and IBF).